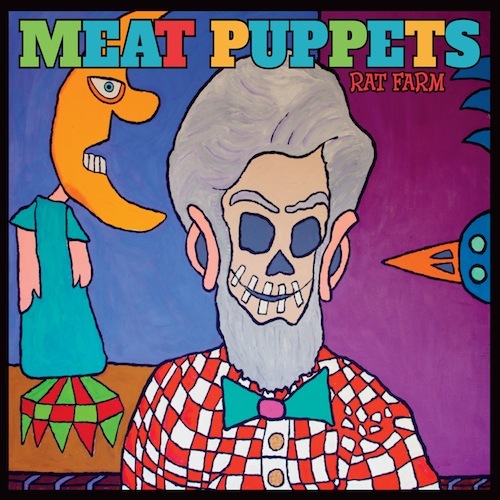 Desert punk band the Meat Puppets have announced the release date for their fourteenth studio album, Rat Farm. I tried to write stuff that would stand on its own — just the chords and the melodies, and play it kind of straight…I think that was the guiding boundary that I gave myself. It was one of those things where a lot of times, in the past especially, Cris would go, ‘Well, that’s all there is? Let’s put a prog rock part in the middle.’ But I tried to hold it off as much as I could. Leading up to the release, the Meat Puppets will be touring in the states from March 28 to April 11. They’ll also make an appearance at SXSW in March and Primavera Festival in May. Check out the track listing for Rat Farm and the tour dates below.